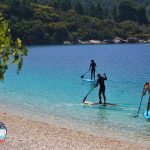 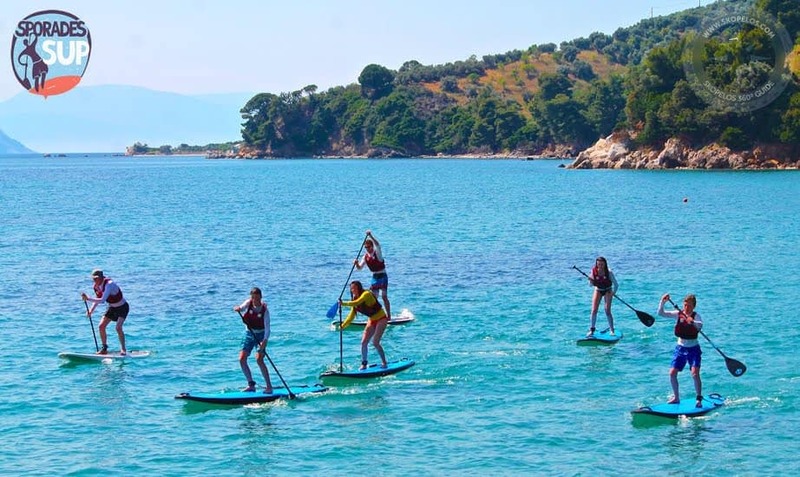 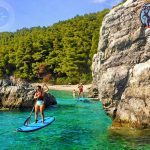 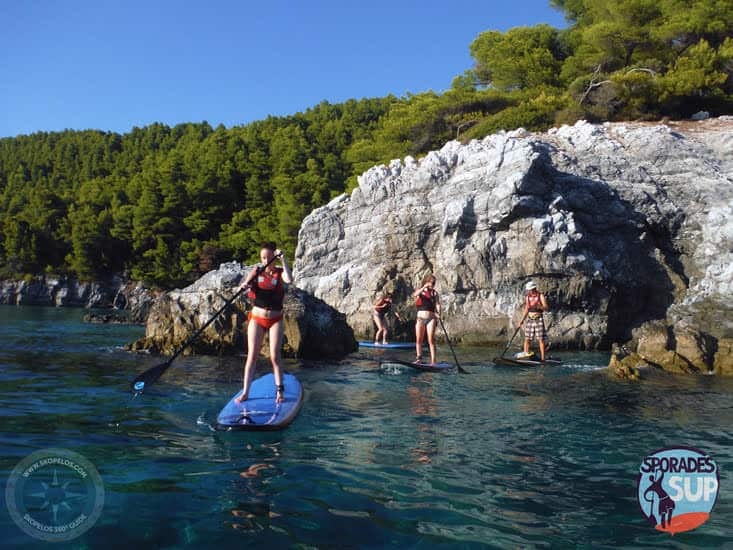 Skopelos Stand Up Paddle boarding (S.U.P) is quickly becoming a very popular sea activity which offers a fun and relaxing way to explore while playing in the water. 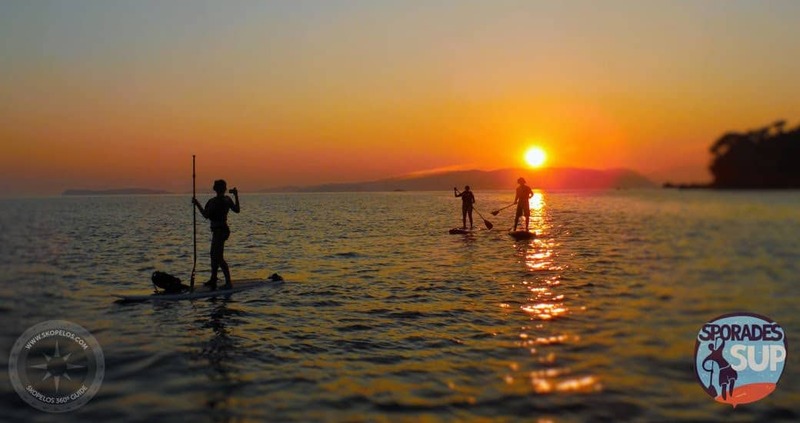 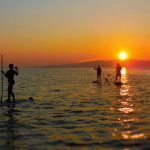 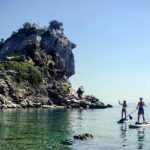 Standing upright on a SUP board allows you to enjoy the stunning island’s scenery as well as a spectacular and unique view through the crystal clear Aegean sea and its amazing seascape. 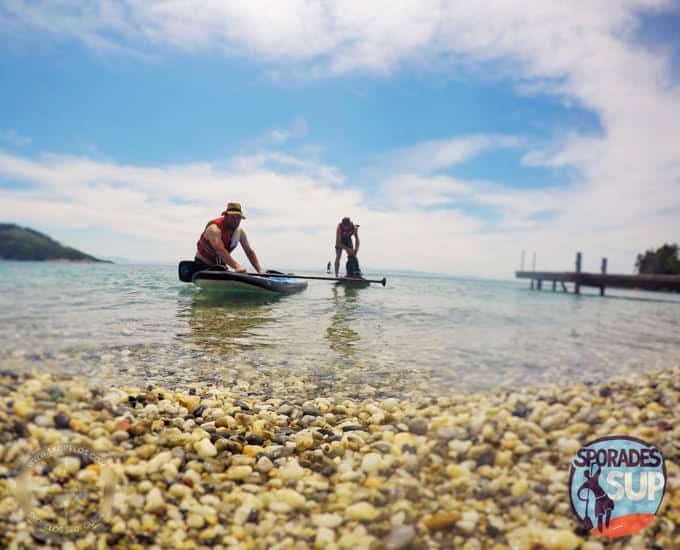 Gliding over gentle waves, watching the fish swim beneath your feet, can truly provide life long memories while having the sensation of walking on water. 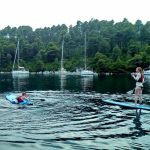 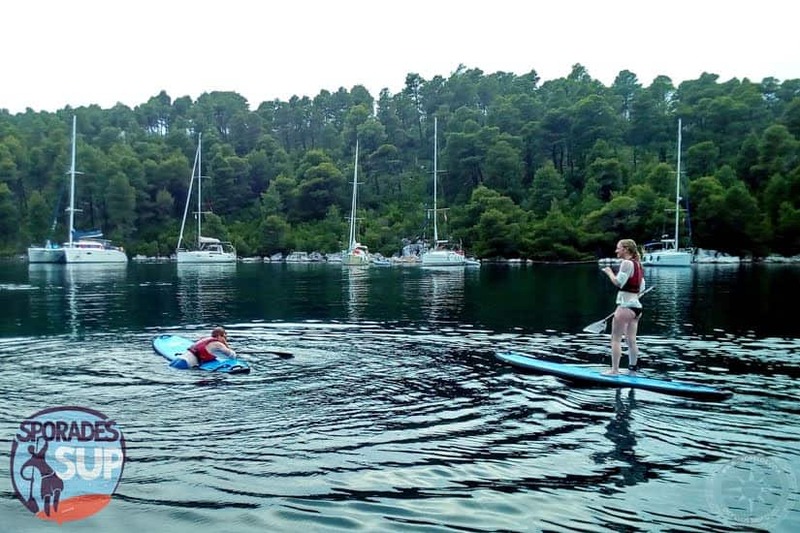 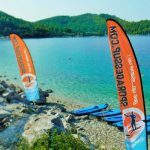 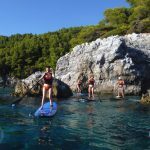 Stand up paddle boarding is an ideal way – for beginners as well as for more experienced paddlers – to explore the coast line of Skopelos island and of nearby islets with their sheltered bays, remote beaches and hidden caves, while maintaining their fitness and having fun. 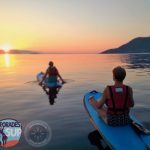 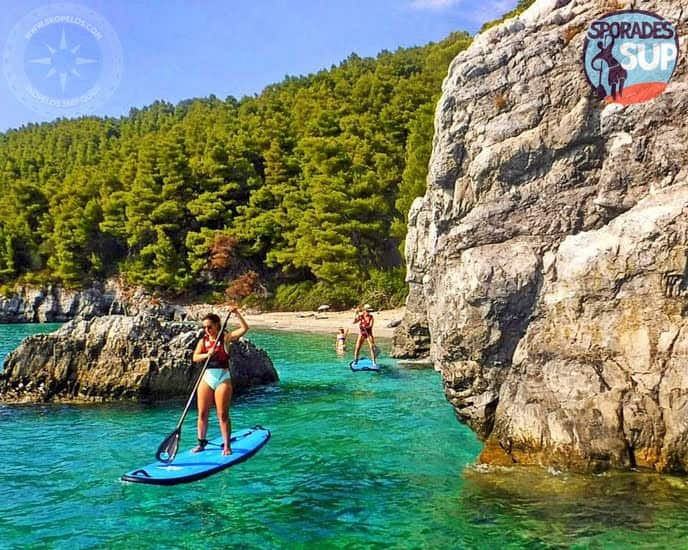 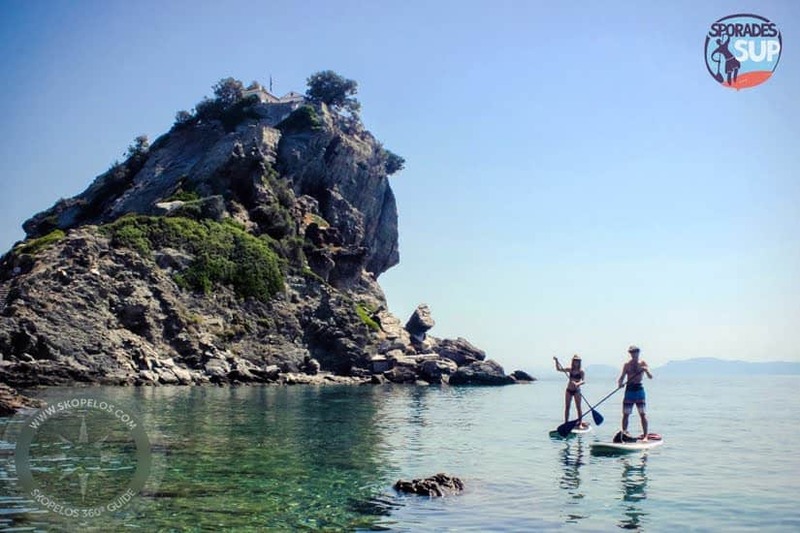 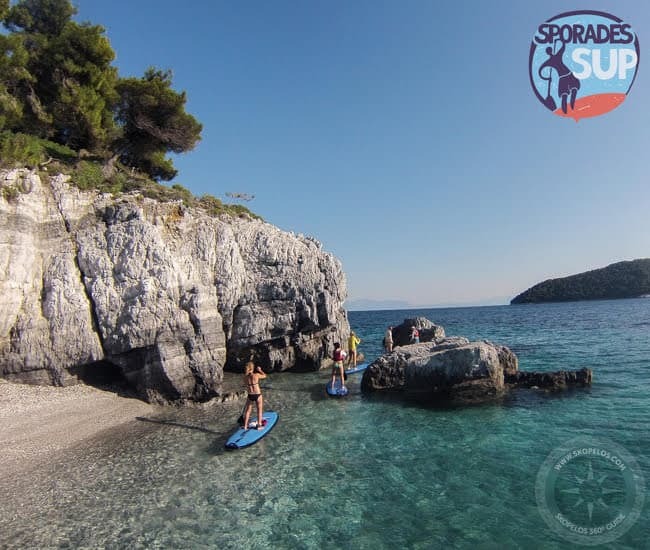 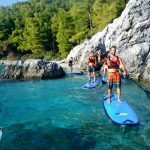 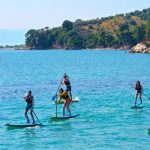 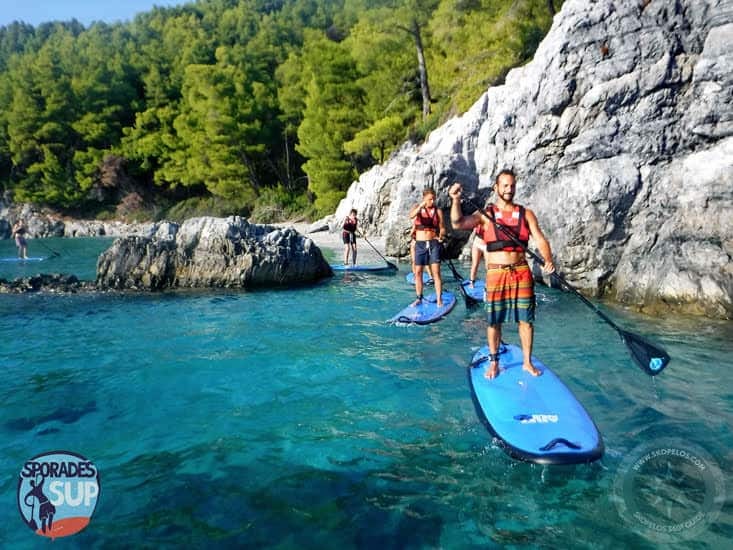 Sporades Sup is the first Stand Up Paddle board out fit on Skopelos, offering daily lessons, tours, and rentals. 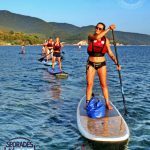 To find easily your balance and start directly paddling we offer flat water lessons, either private or in a group, in order to familiarize with the equipment and some basic paddling techniques. 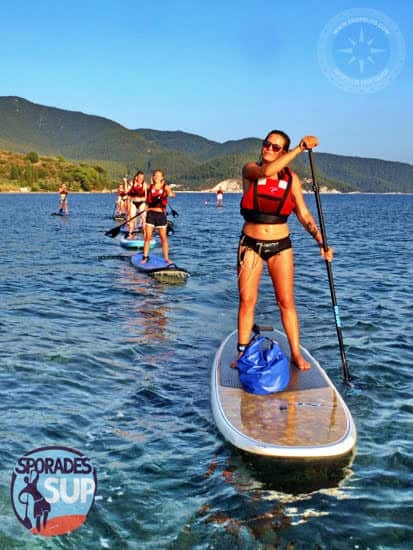 After the lesson you’ll be ready to participate to your first short paddling tour and get the most out of it! 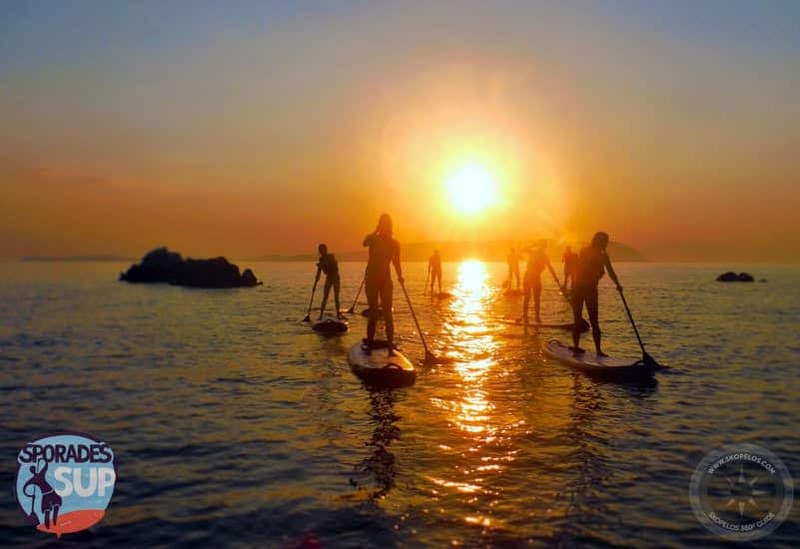 The famous paddle boarding ”Sunset tours” which last 2,5hours are organized upon request, daily. 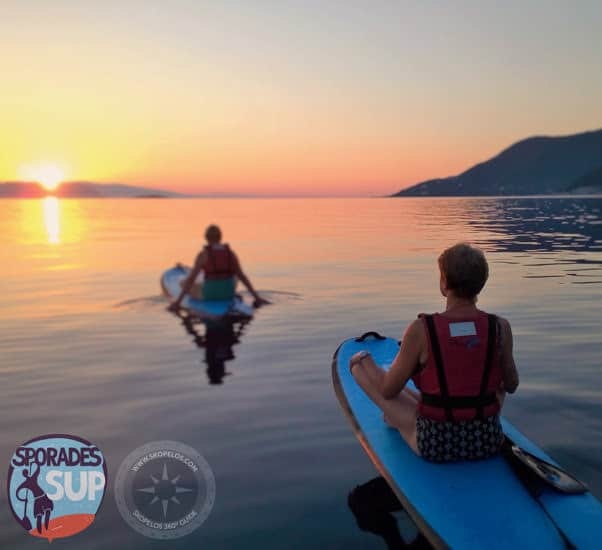 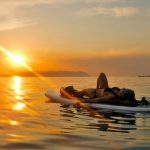 They involve paddling to a beach for a chill out or a swim, including a snack break while immersing in the stunning scenery through the sunset light and socializing with other paddlers. 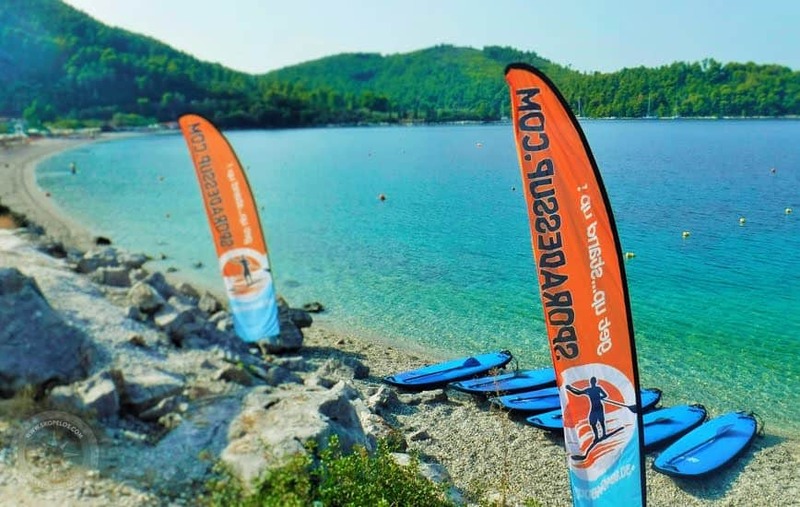 To take part participants must be able to swim and be in good physical state. 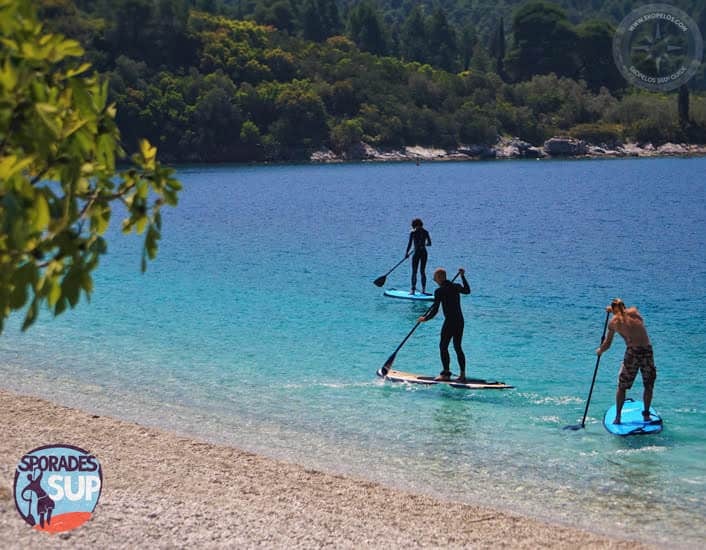 If you prefer exploring the coast line with your own company, paddle boarding equipment rental is possible too, for an hour or more. 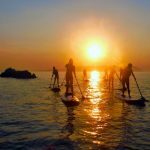 For both equipment rentals and mini-tours, a lesson is a prerequisite unless prior experience and confidence is obvious.